The 9 Lives of Wu-Dong: Real Picture of a Real frog inside one of Mommy's squash flowers! 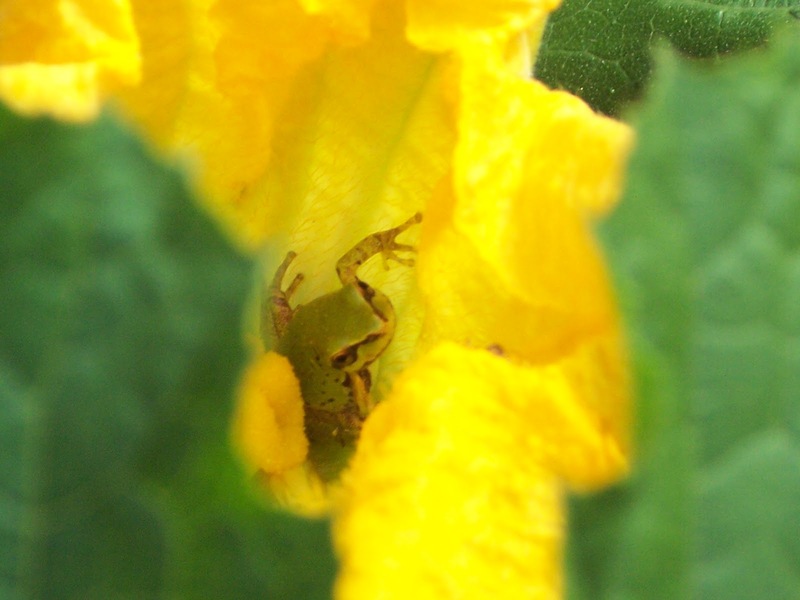 Real Picture of a Real frog inside one of Mommy's squash flowers! Ooh! Get ready for some nature pictures! I hope the frog doesn't ruin those gorgeous flowers..
Don't worry, it won't Mom! Hey, hurry up! I didn't finish my shower early for nothing! I finished it so we could go eat lunch! 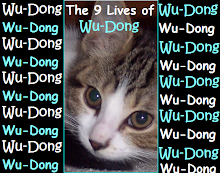 ::Wu-Dong Growling:: Hey, who's blog is this anyways!? Excuse me while my family quarrels, while I try to break up the fight, enjoy these photos! Great, I better make an escape..
Did you enjoy these rare photos? If yah did, feel free to comment! Wow, those are cool pictures, Wu-Dong. I am scared of frogs. Thanks! 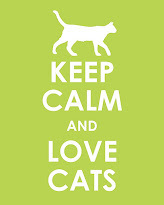 my owner took them in her back-yard! Frogs are interesting to me, whenever I see one, I watch it until it goes outta my sight. I saw you were here and I just stopped by with a howdy! Neat pictures; I hope the frog can get out. I'm sure he can, but it's a nice spot to rest for a while. Who wouldn't want to snooze on a bed of roses? 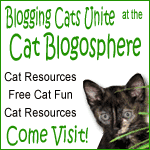 I saw on the Cat Blogosphere site that you were here, so I came over to say hello. I hope you have a good day and an even better weekend! 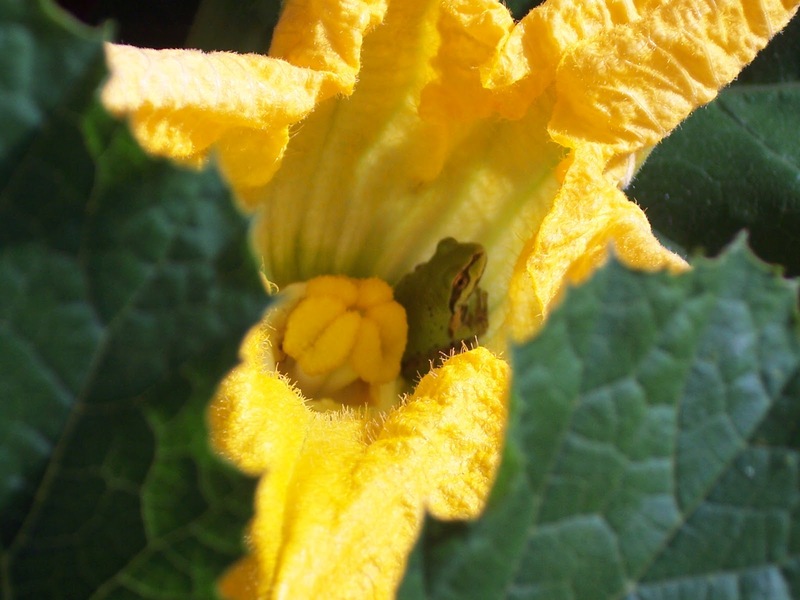 That flower is purrty and that little froggy is cute! We get them inour yard sometimes too. We read about you on the CB and wanted to come by and say hi!! Thanks! Hope you enjoyed your visit! Yeah, it did get out! Thanks, so far I'm having a pretty nice day, I woke my owner up in 6:53 AM !! Cool! Do you get excited when they hop by? 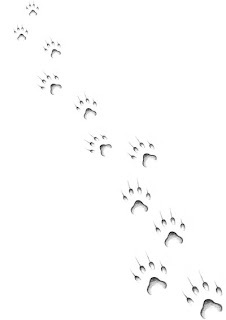 MOL, Hello!! 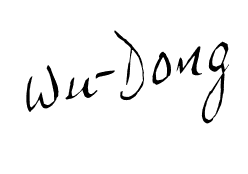 Hey Wu-Dong, nice to meet you! 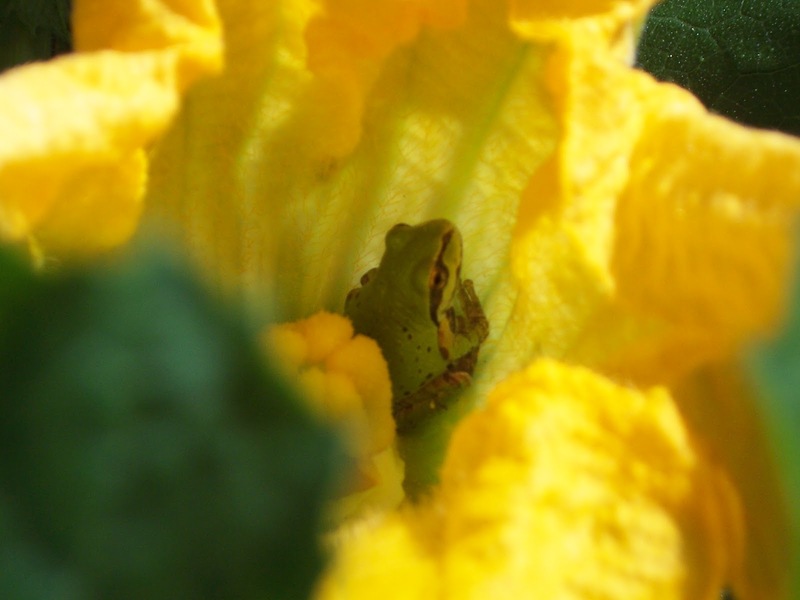 C'mon over and see our froggy friend sometime ! We has a picture of him on a blog post when he hopped up our window. Your pictures are way cooler though. I like froggies so to me this is adorable!! I think any picture of a frog is cool1 But, it's way more fun to see one with your own eyes. Those are wonderful pictures. The frog must have been tiny. Welcome to the Tabby Cat Club, Wu-Dong!